It’s not new news: Social media marketing has transitioned from being a whimsical hobby to a no-brainer, absolute must for businesses of all sizes that want to remain relevant. Whether you’re microblogging, posting, liking or updating information about your products and services, there’s one element that must be addressed: safety and security. If you think this is just an old song repackaged as a Web 2.0 mash-up, think again. When Webroot surveyed 803 IT professionals who worked at small and medium-sized companies, 80 percent replied that Facebook and related Web 2.0-based malware posed serious problems for their companies. Of those same respondents, 73 percent thought web-based threats were more difficult to manage than their email cousins. Read further to find out how to take control of your social media space by educating yourself on privacy settings, data protection, hacking and human error (i.e., your lovable employees). 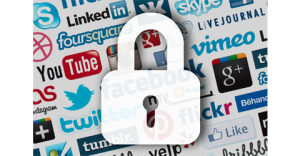 A recent survey found that 67 percent of respondents were concerned about social networking privacy issues, yet only 31 percent of those asked updated their privacy settings within the last 90 days. This lack of attention to detail can make your fan page an open target for social engineering, data and identity theft and more. Data protection can actually work both ways. While you need to be careful about the data you collect from fans, this discussion focuses internally—on how to protect your company’s data. Think about all the data you have, that in the wrong hands, could tip the balance sheet of your SMB. 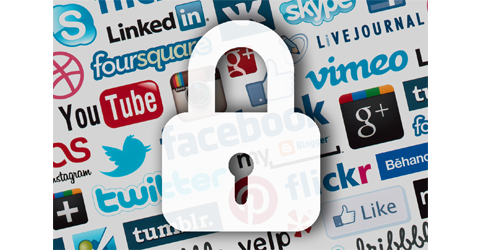 Once privacy settings are online, take technical control by utilizing encryption. According to Matthew Royse, managing editor at Forsythe FOCUS, “Encryption is a great tool for protecting access to data by the wrong user.” Royse also recommends data loss prevention (DLP) suites for monitoring policies and protecting data. “DLP used on endpoint systems can prevent attachment of various file types and content,” he says. Among the things to watch for on Twitter are direct messages that lead to phishing scams and shortened URLs that hide malicious intentions and could easily derail your unprotected business. Joe Maglitta, contributing editor at Geeknet, says when it comes to social media security and safety, employees are the top risk. Why? Because they introduce the problems by showing poor judgment, clicking things they shouldn’t and generally being lazy about applications that unload viruses, spyware and malware. Employees can also unwittingly overshare confidential information, which is gold in the wrong hands. Even piecemeal information dropped here and there can be stitched together and used by a good hacker to bring your company to its knees. To mitigate issues, properly train a very select group of people (or person) to be social media administrators. Also, outline a clear, standard operating procedure, such as this one from Intel. Know and implement privacy settings. Recheck the policies on a regular basis for changes. Use an excellent antivirus software. Invest in a full-spectrum product that covers security patches; real-time, dynamic web defense; and, provides a strong firewall. Scan and decode links to make sure they’re the real thing. Options include BrightCloud and TrueURL.net. Adopt a strong password policy. Choose complex combinations and create a unique password for each account.